Considering a new Mercedes-Benz coupe or sedan? 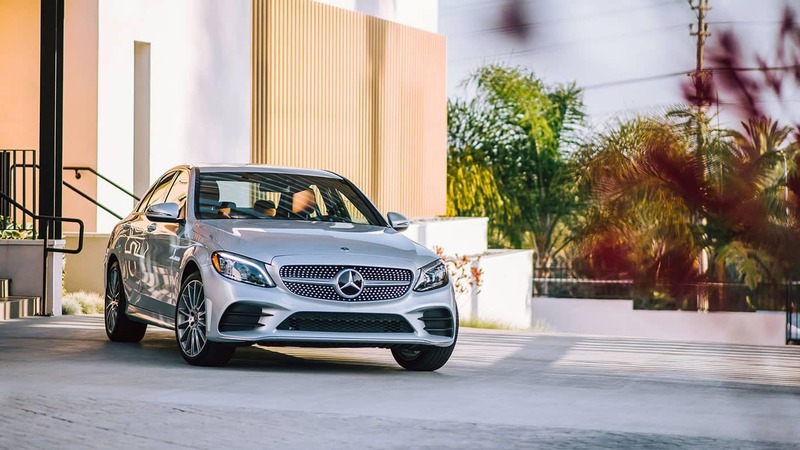 The 2019 CLA and 2019 C-Class are great places to begin your search. One offers a peppy engine for a reasonable starting MSRP. The other is slightly sportier, offering three AMG® trims. Compare the Mercedes-Benz CLA vs. C-Class below to decide which best suits your lifestyle! Price: The 2019 CLA 250 has a starting MSRP of $33,100, making it the less expensive option. The 2019 C 300 Sedan starts at $41,400. Performance: Both classes start with a 2.0L turbo inline-4 engine. The new C-Class coaxes more power from its engine — 255 hp and 273 lb-ft of torque. The CLA performance measures in at 208 hp and 258 lb-ft of torque. Features: The C-Class interior features a 7-inch high-resolution central display and driver memory settings. The CLA gets an 8-inch color display and front-seat memory settings for both the driver and the passenger, but lacks other features that are standard on the C-Class like the HomeLink™ garage door opener and remote-opening/closing windows. Options: The CLA is offered in one AMG® trim: the AMG® CLA 45. The C-Class is offered in three AMG® trims — the AMG® C 43, the AMG® C 63, and the AMG® C 63 S.
Performance: The 2019 AMG® C 43 and 2019 AMG® CLA 45 are comparable in regards to power, generating 385 hp and 375 hp, respectively. Move up to the AMG® C 63 and AMG® C 63 S, and you’ll get a taste of what the AMG® C-Class can do. These trims range from 469 to 503 hp. Acceleration: While the AMG® C 43 and AMG® CLA 45 have similar performance specs, the AMG® CLA 45 is slightly faster. The AMG® CLA 45 can accelerate from 0-60 mph in 4.1 seconds, while the AMG® C 43 accelerates to that speed in 4.6 seconds. Compare the CLA vs. C-Class at Mercedes-Benz of Chicago! Comparing the new CLA vs. C-Class, it’s easy to see that both models are top-quality, but they cater to different Cook County drivers. 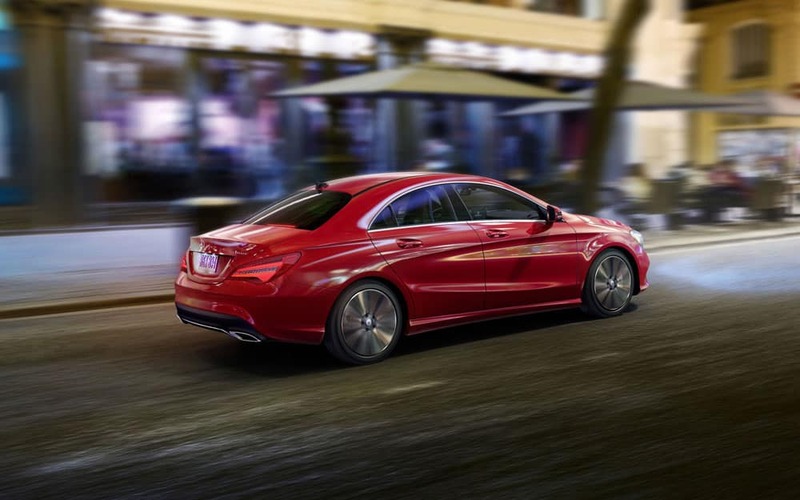 Schedule a test drive at Mercedes-Benz of Chicago with a CLA or C-Class model — or both! When you visit our dealership, don’t forget to ask about our latest lease specials and finance specials for offers on a CLA 250 or C 300 as well.